Late Muhammad Akhtar, Advocate was born at Karachi, in year 1950 and after doing his Matriculation he graduated in the field of science and done M.Sc. from University of Karachi in year 1972. Pharmaceutical Laboratories Limited Karachi and resigned in the year 1978 on his own accord, thereafter he joined legal profession and done his L.L.B from S.M. Law College, Karachi. Muhammad Akhtar & Co. Advocates & Legal Consultants was established in the year 1983 under the name of Muhammad Akhtar, Advocate, who started his practice as an Advocate with his brothers namely Muhammad Salahuddin, Advocate, and Ziauddin, Advocate, both were well known practicing Advocates, in Karachi practicing Civil and Company Law, providing legal consultancy and Counseling Services to various National and Multinational Companies, conducting inquiries and inspections and compiling reports thereof for the assistances of various Courts including High Court and Supreme Court. He appeared on behalf of various clients including National and Multinational Companies, Bank in various cases before Hon’ble High Court as well as Supreme Court and assisted counsels as well as Hon’ble Courts for final disposal of matters with equity and justice. During his practice in civil & company law he appraised senior management to perform their functions strictly in accordance with law he also educated the junior management as well as other staff members and conducted number of training courses for promotion of awareness of relevant laws among senior and junior staff. His such efforts left ever lasting effects on various companies and banks and he remained acknowledged for the same through out his carrier. 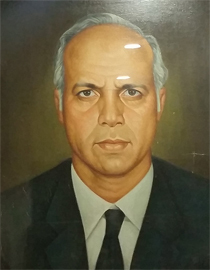 Late Muhammad Akhtar was elected as Vice President of Karachi Bar Association in the year 1988 and was also elected as General Secretary of Sindh High Court Bar Association for the year 2004-05. He breathed his last on 21.05.2007 (May Allah be pleased with the departed soul and grant him a place in company of Muhammad Peace be upon him in Paradise).